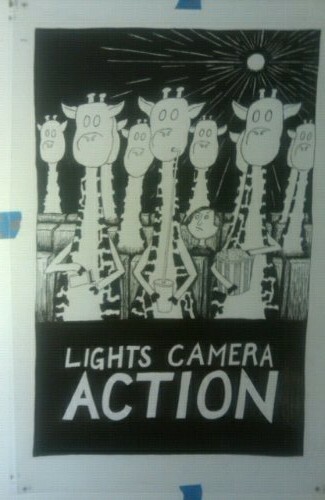 Just about done inking the film for the first screen. Adjustments will be made once I have the second screen pretty close. Previous post: Lights, Camera, Action! Next post: See us at LibertyTown in September!